Some great mobile apps for freelancers. 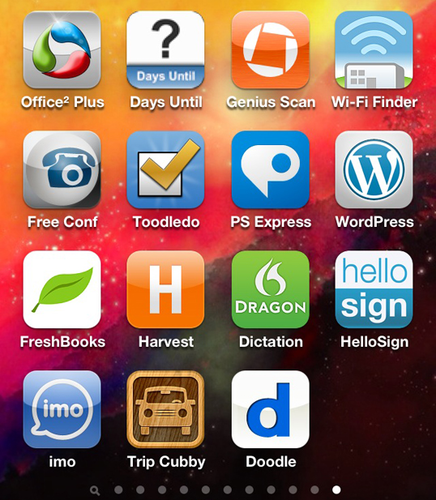 iPhone Apps for Freelance Writers On The Go – a list of mobile apps and tools for freelance writers. Need a Photo? Here Are the Best Ways to Find Free and Paid Images – a list of websites and tools where you can find free and paid images for websites, blogging and whatever else you need them for.